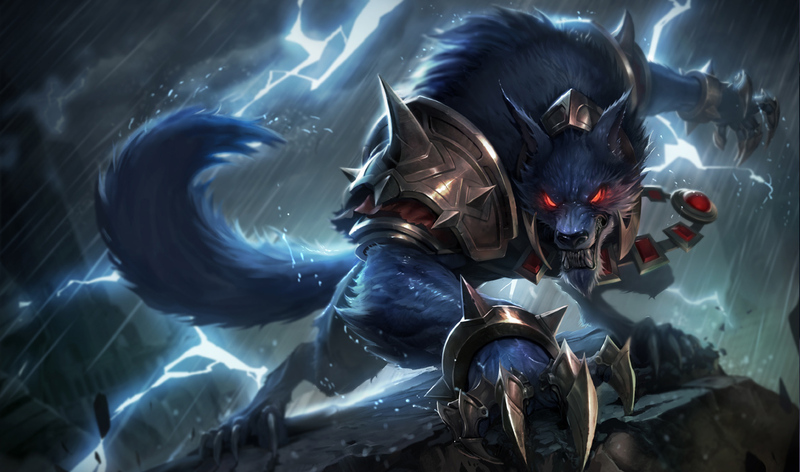 Warwick is a midgame ganker with high sustain and a variety of build paths thanks to his ability to utilize on hit effects with high effieciency thanks to his ultimate applying on hit effects. 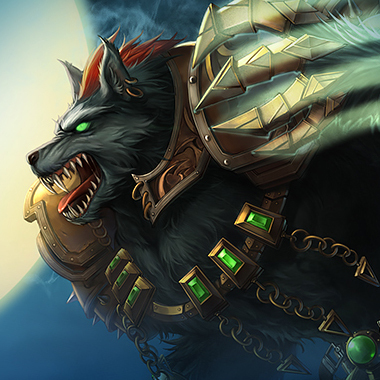 Warwick also has high chase potential with his Blood Scent, enabling him to finish off low health targets. 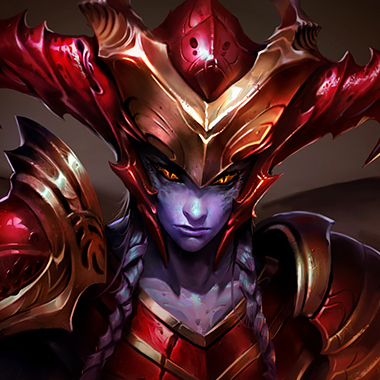 He is a strong dueling champion thanks to the innate lifesteal in his kit, making one on one fights typically heavily tilted in his favor. Warwick's basic attacks deal bonus magic damage and heal him for the same amount. Warwick swipes at the target enemy, dealing magic damage and healing himself for 80% of the damage dealt. 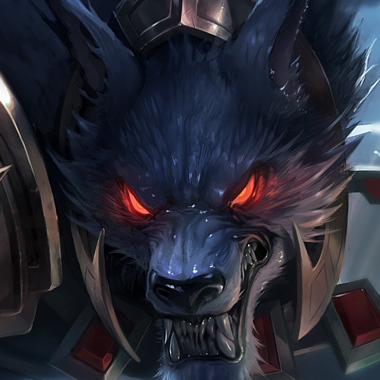 Warwick gains Sight icon sight of all nearby enemy champions with less than 50% of their maximum health, also alerting them to his presence. 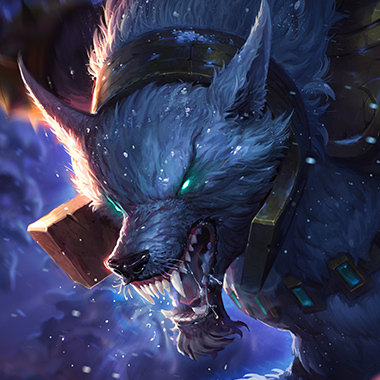 Warwick blinks to the front of the target enemy champion and channels for 1.5 seconds, suppressing them for 1.8 seconds and dealing magic damage 5 times in 0.3 intervals. 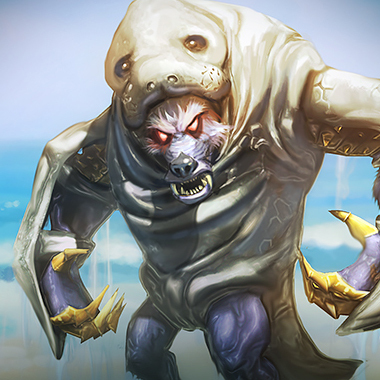 Warwick gains 30% Life Steal for the duration, and each damaging strike applies on-hit effects. Zac just makes Warwicks life bad. 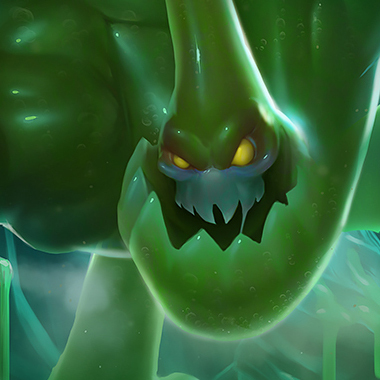 He has high base damages and can stop Warwicks ult with the two built in knockups he has. 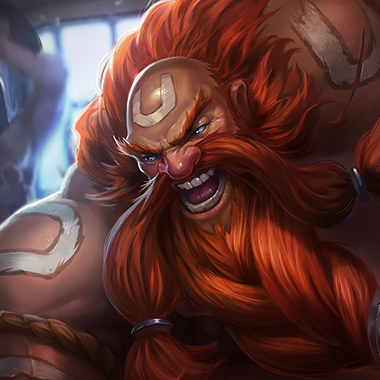 He's better at engaging teamfights and can snowball the lanes at level 3+.